The First Holy Communion of a child is a landmark in their young life. And although the First Holy Communion is a sacred right of the church, it is often celebrated afterwards with family and friends. The preparations for the celebration often begin months before the actual day of the First Holy Communion. 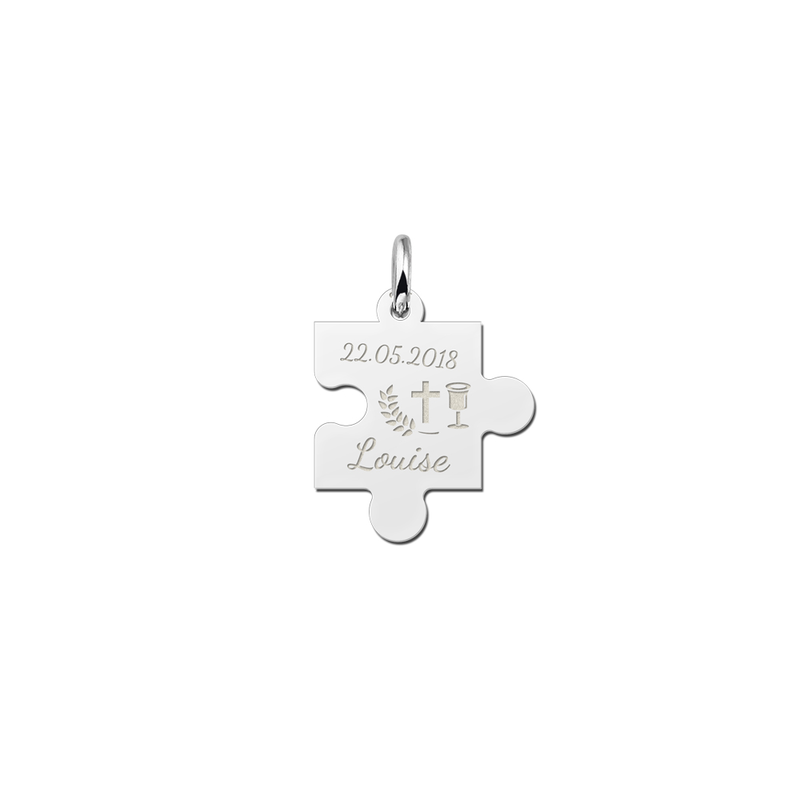 Setting a date, choosing a venue, sending the invites, and of course picking out the most lovely clothes for your little boy or girl who is about to take this big step. 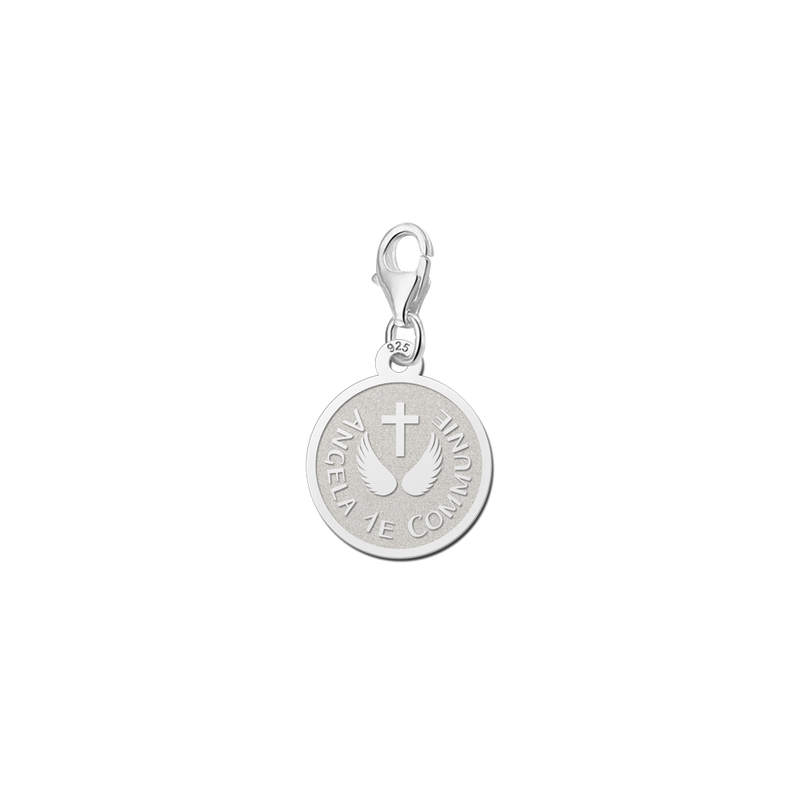 To complete the wonderful outfits, First Holy communion jewellery cannot be missed. 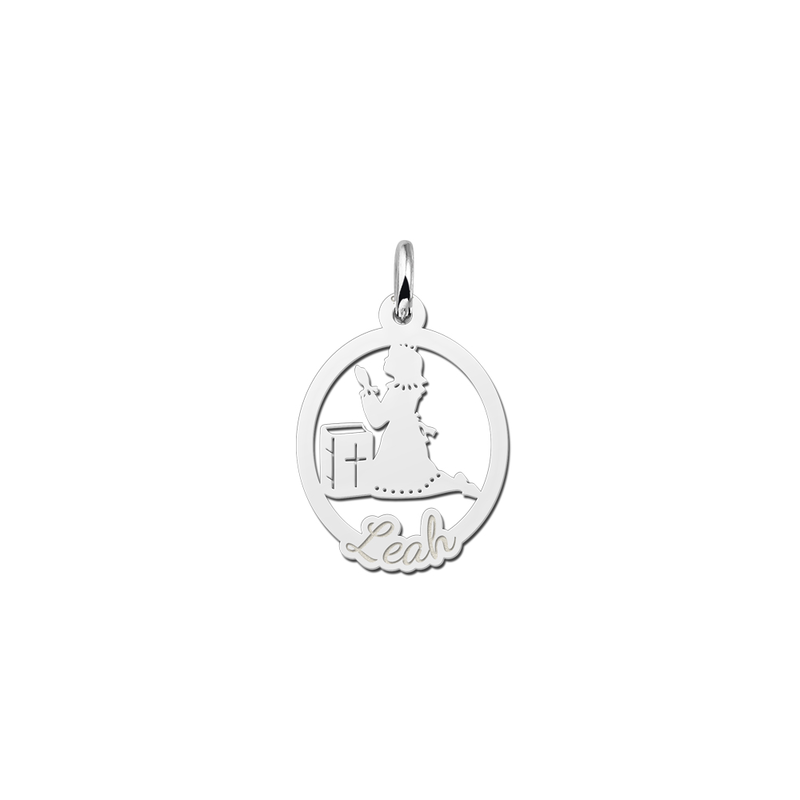 We have a wide selection of silver Communion jewellery for girls, but also for boys! 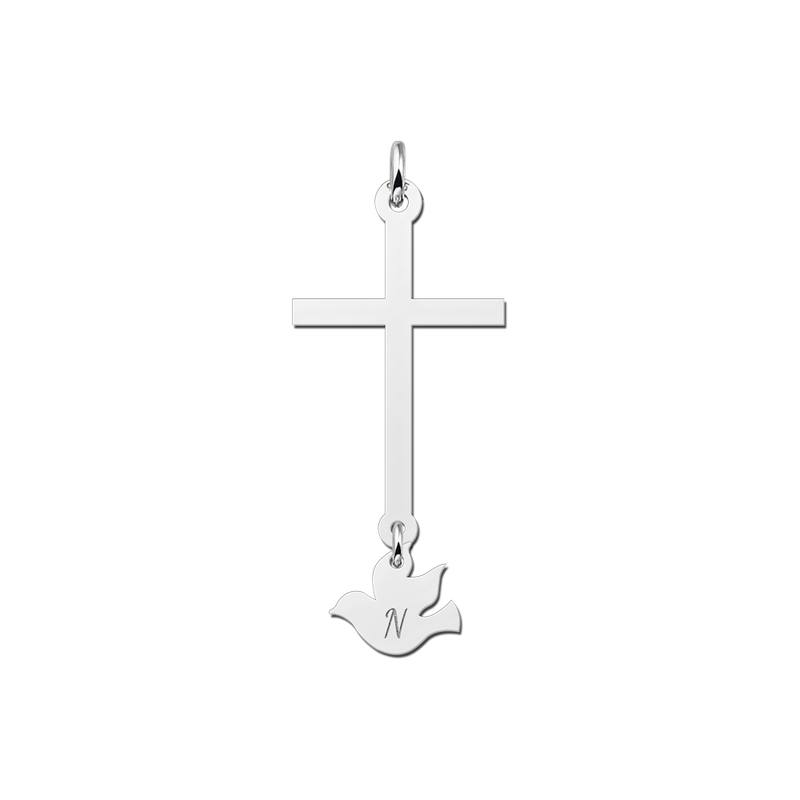 Silver Communion crosses, silver pendants for the First Holy Communion but also silver 1st Communion charms. 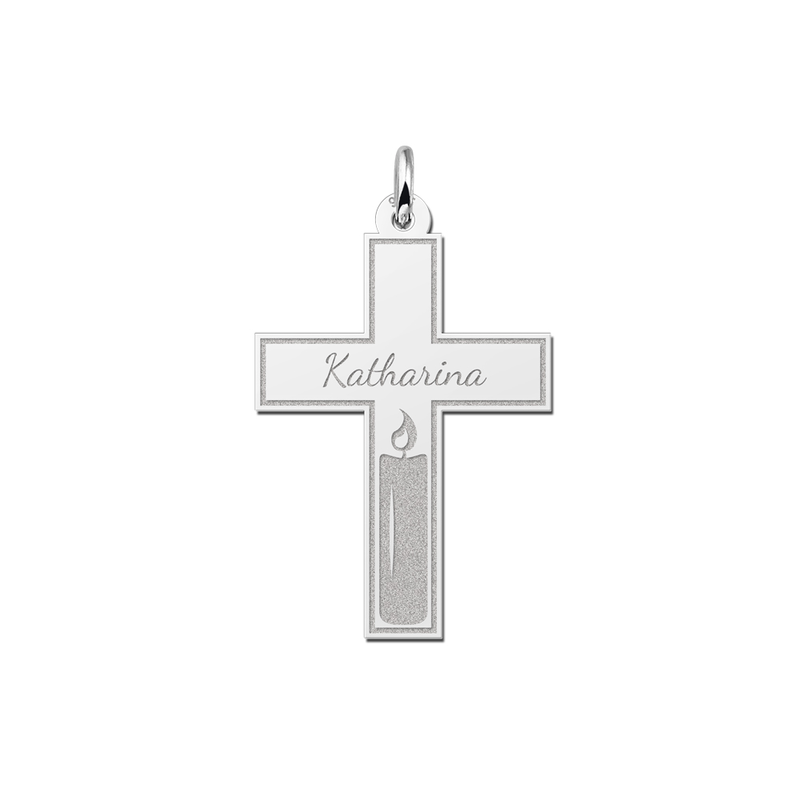 Our silver Communion jewellery is made of the best quality 925 sterling silver. 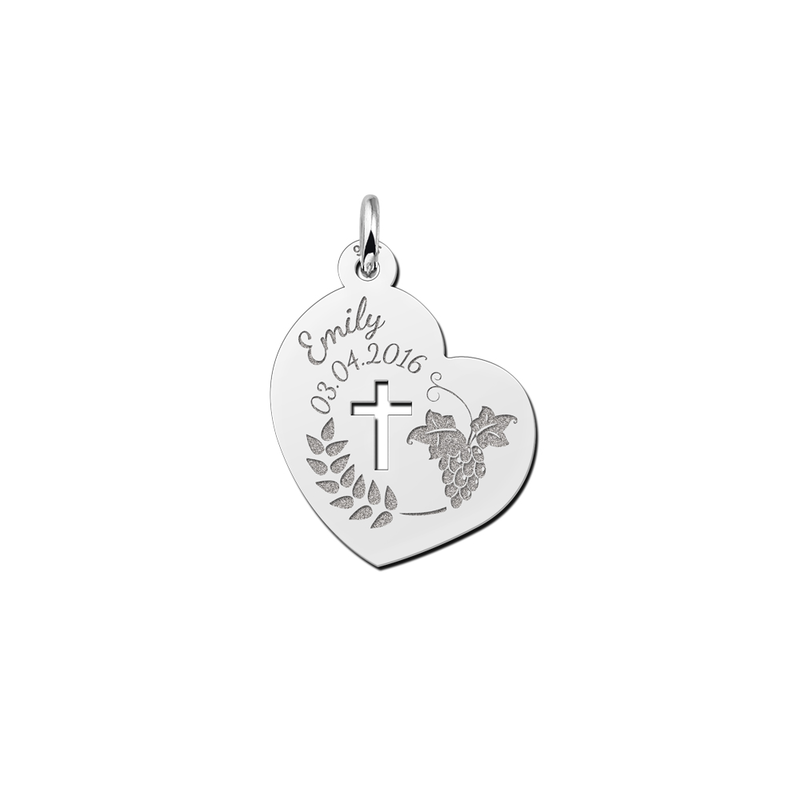 A piece of Communion jewellery that your child or godchild will be enjoying for a long time. 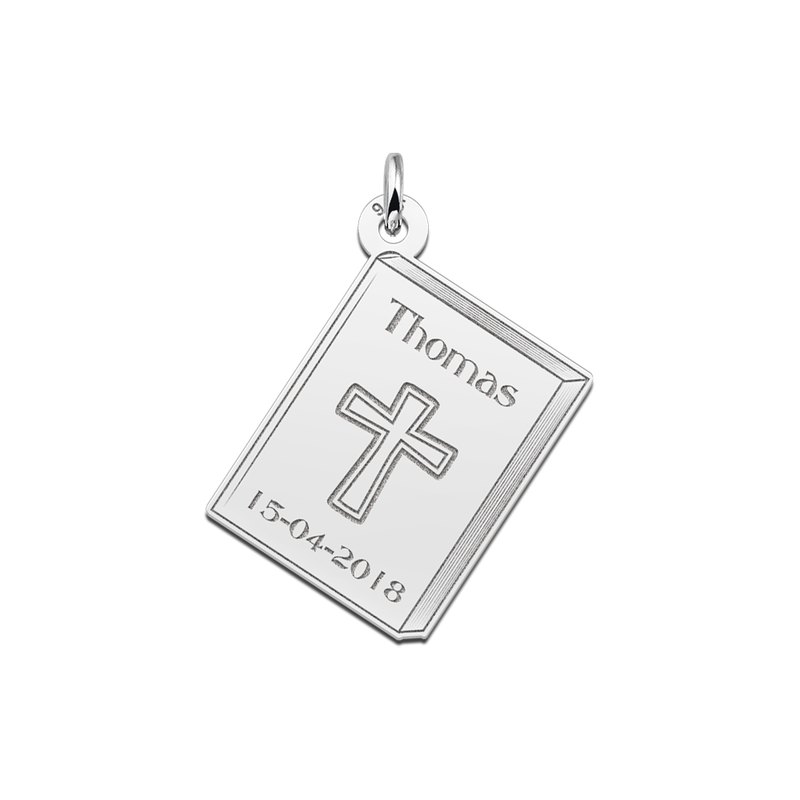 Not only on the day of the First Holy Communion itself, but also afterwards as a silver keepsake to this special day and all family and friends present. What silver pendant or charm would you choose as communion gift? Collection of gold communion jewellery also available. 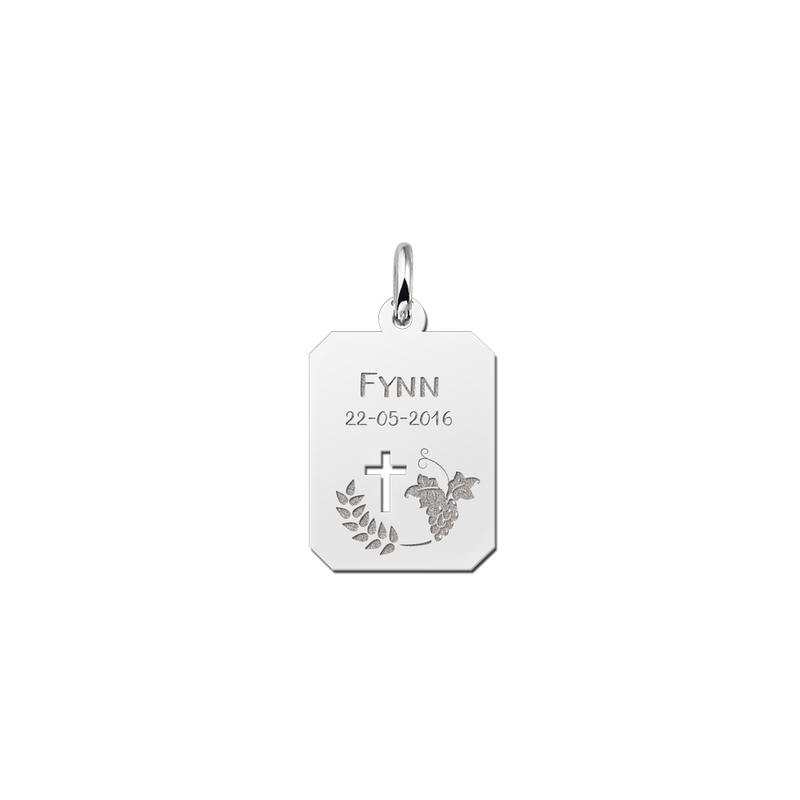 The silver communion jewellery collection of Names4ever offers a wide choice of styles. 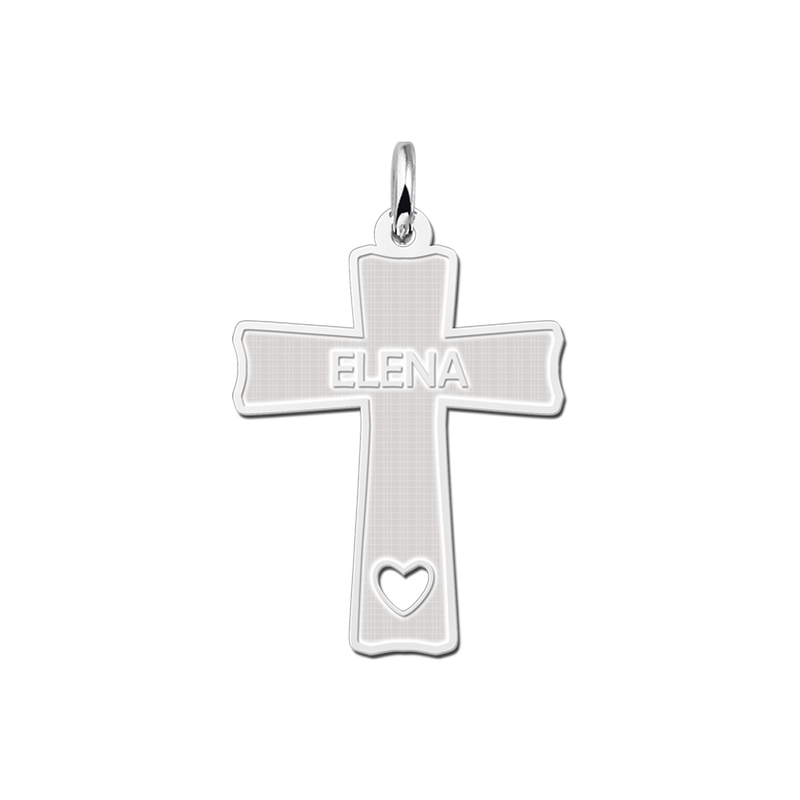 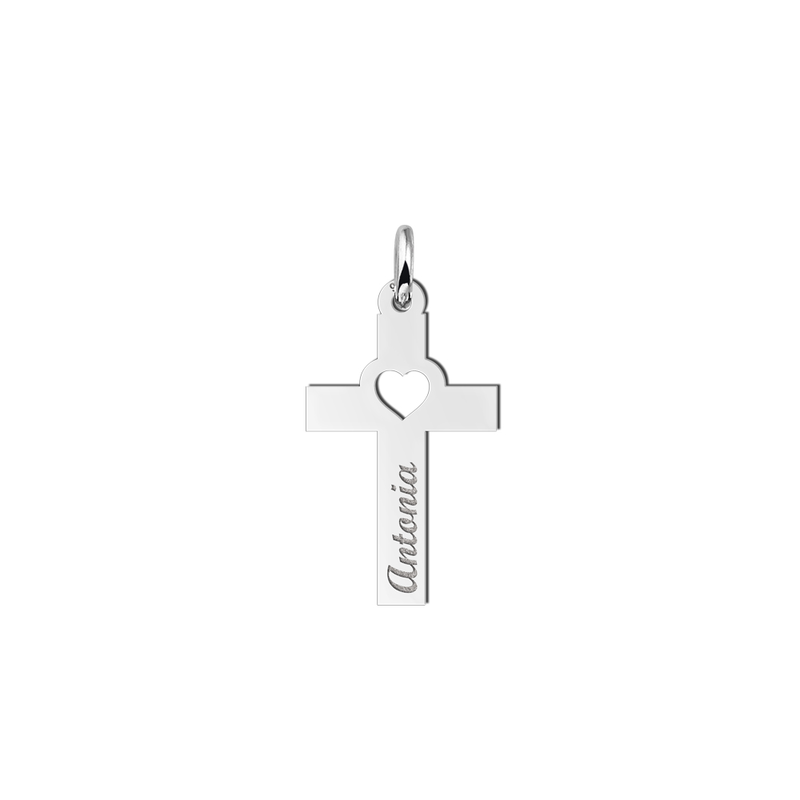 We have pendants with a more classic design, like the silver communion pendants with a praying girl or boy or the well-known cross symbol, but also contemporary designs such a as a heart with cross or a silver heart pendant with name. 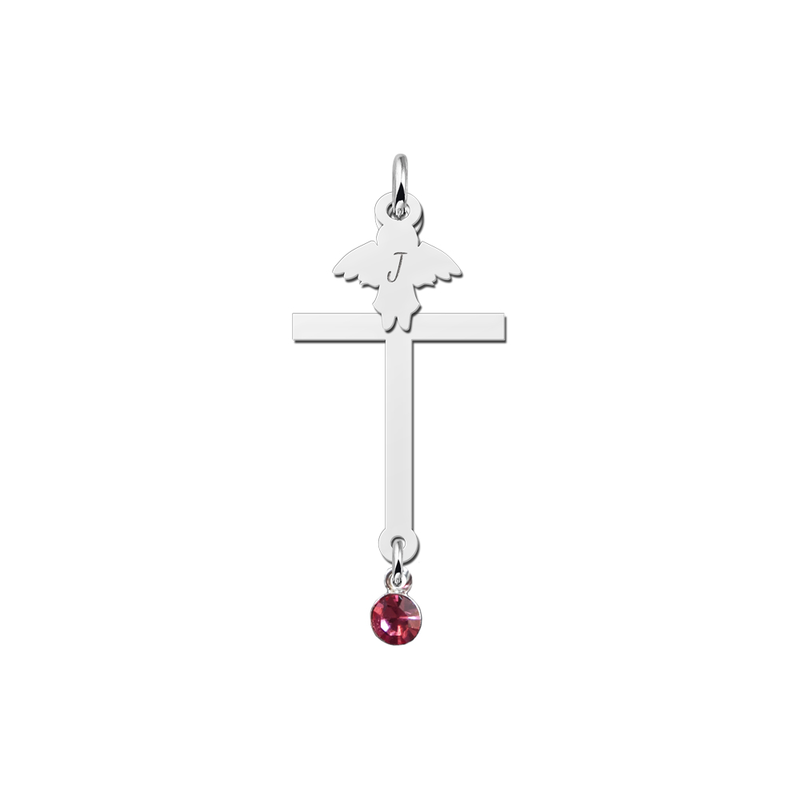 Also we have two silver communion pendants with a birthstone or a colored cubic zirconia. 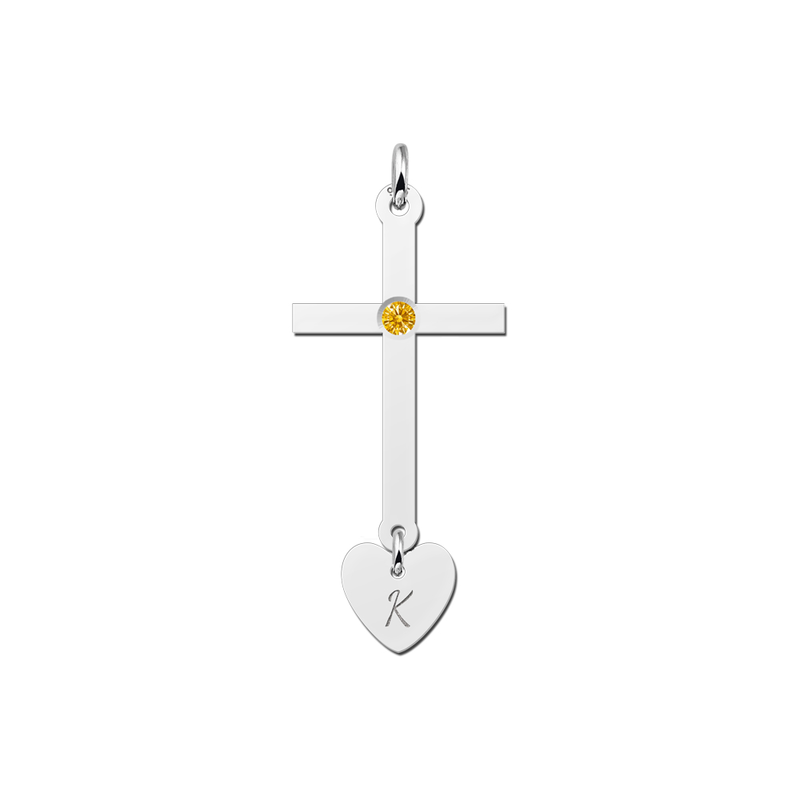 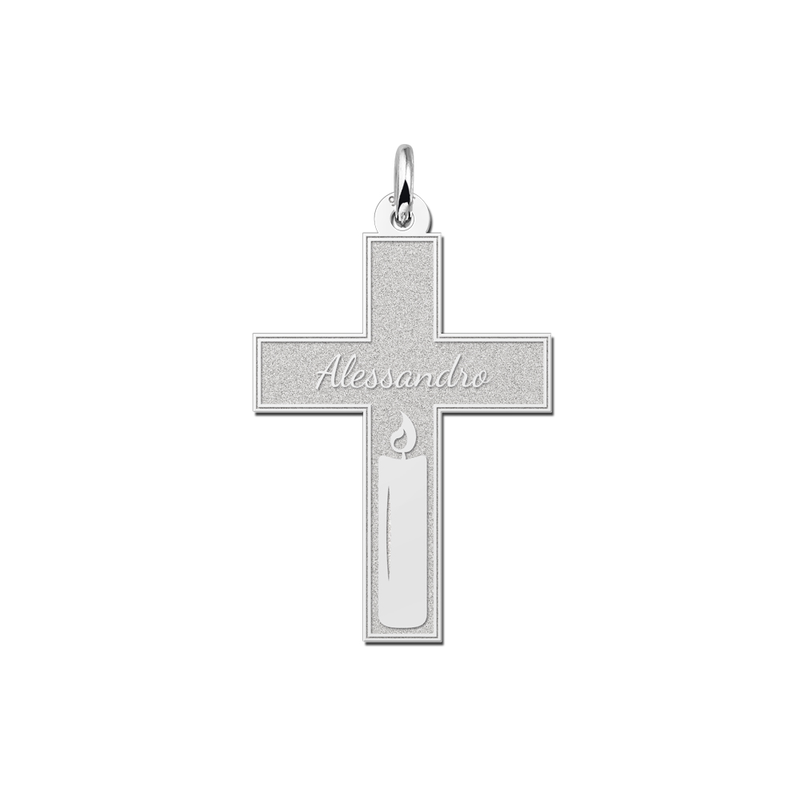 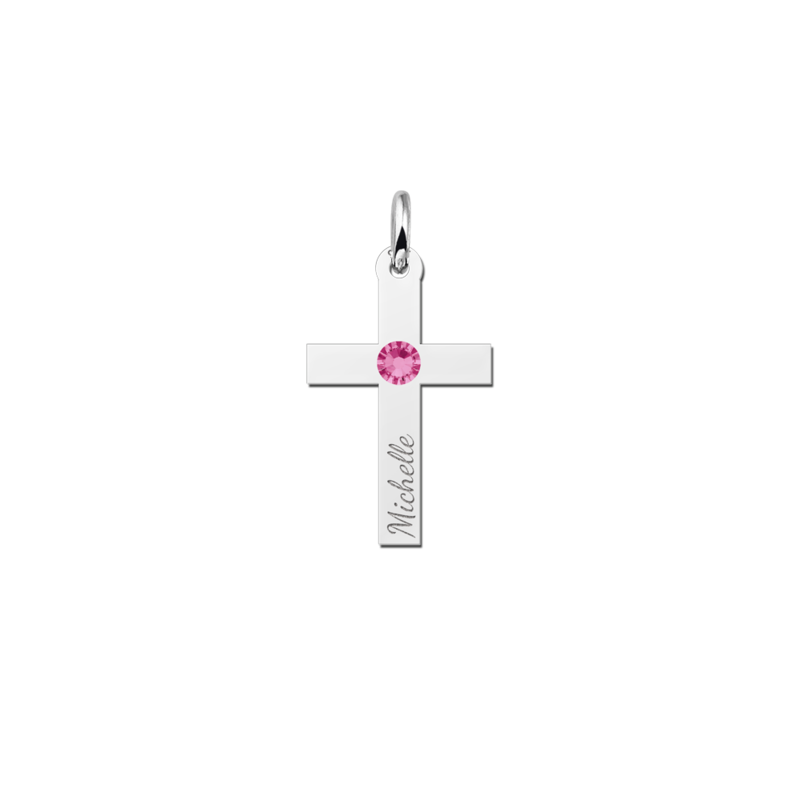 What design communion pendant would appeal to your child or godchild? 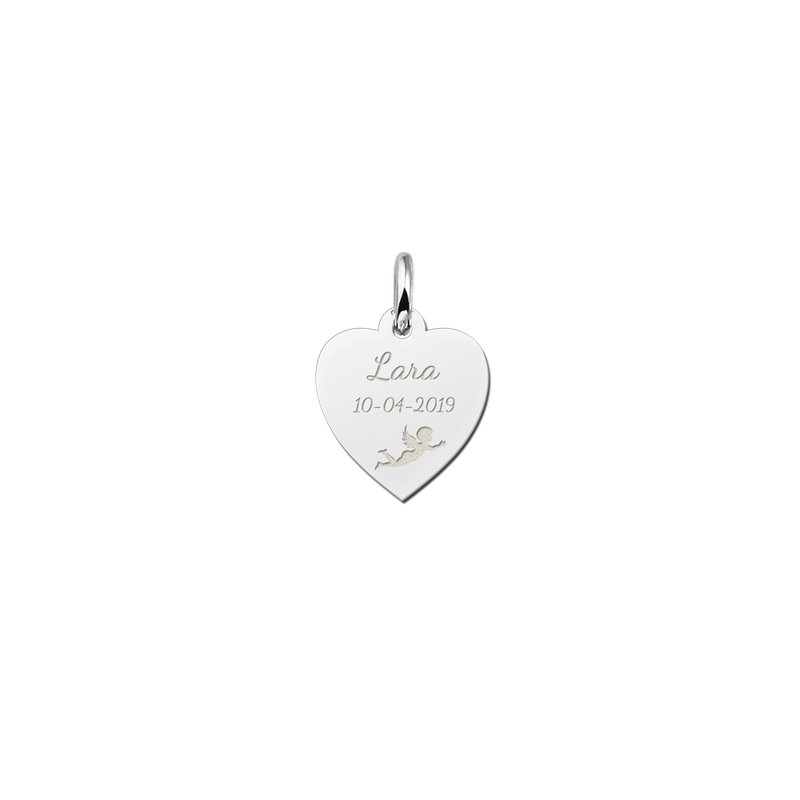 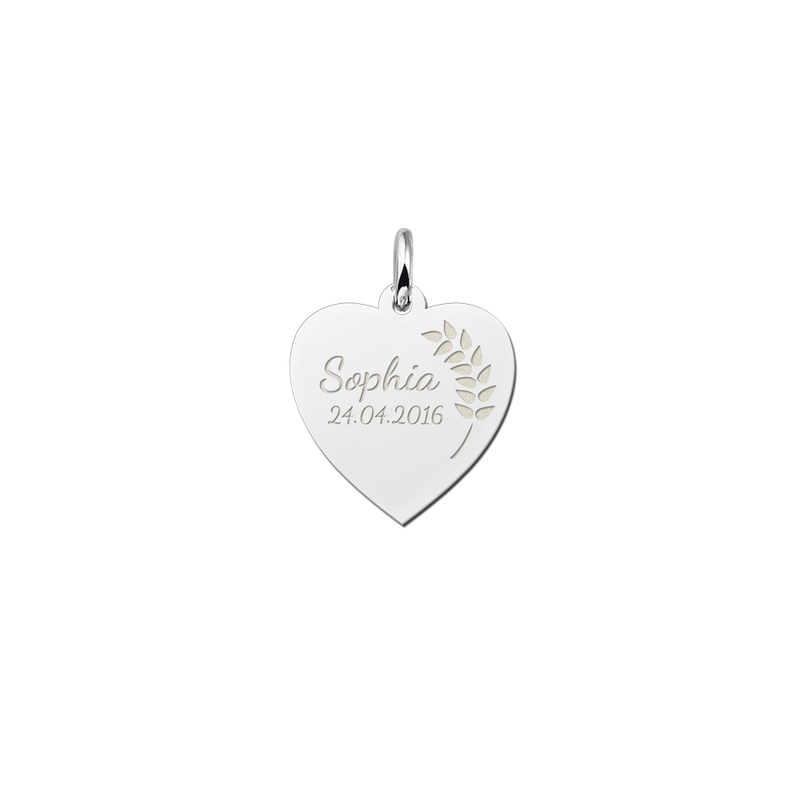 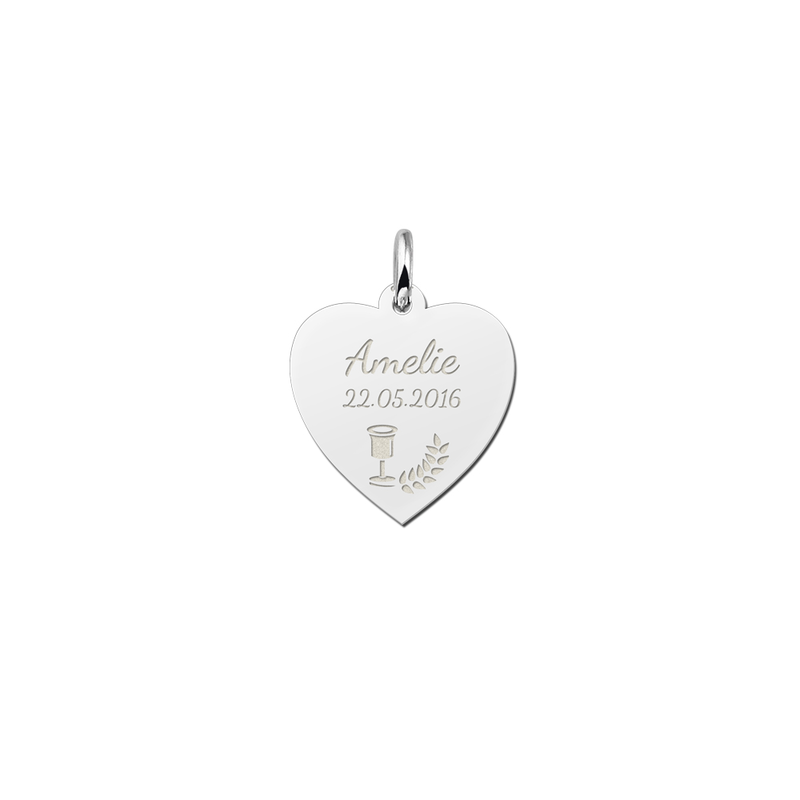 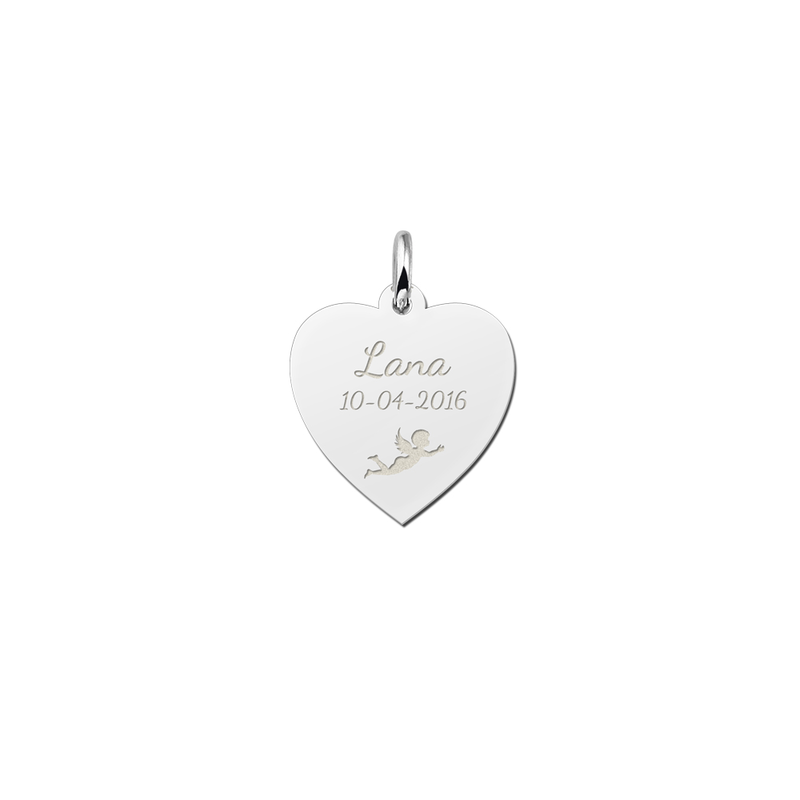 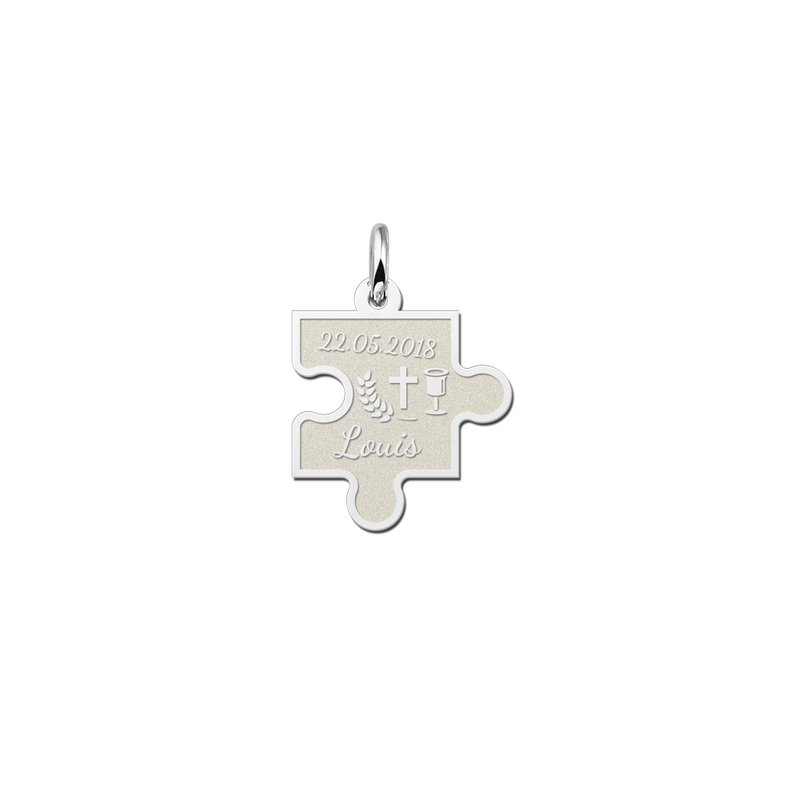 Our silver communion jewellery has one thing in common; in every piece of jewellery we can put a personal engraving. This could be the name and date of the boy or girl who will be doing his or her First Holy Communion, or maybe a short wish for the future. 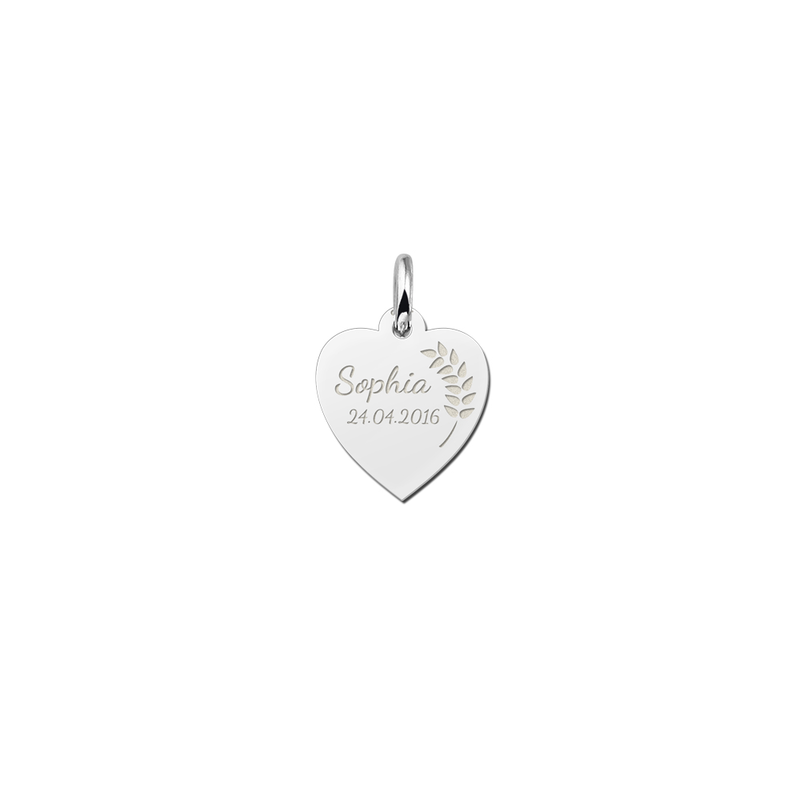 Would you rather not have an engraving in your silver communion present? Of course that’s possible as well. 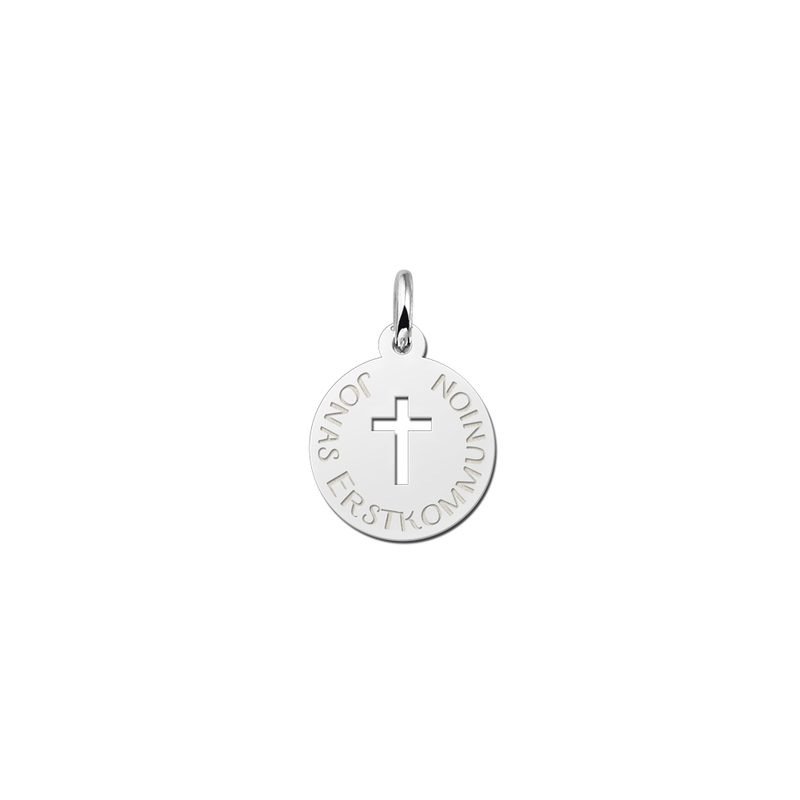 Simply enter a space in the compulsory text field! Our collection of silver communion jewellery includes not only communion pendants for girls, but also for boys! 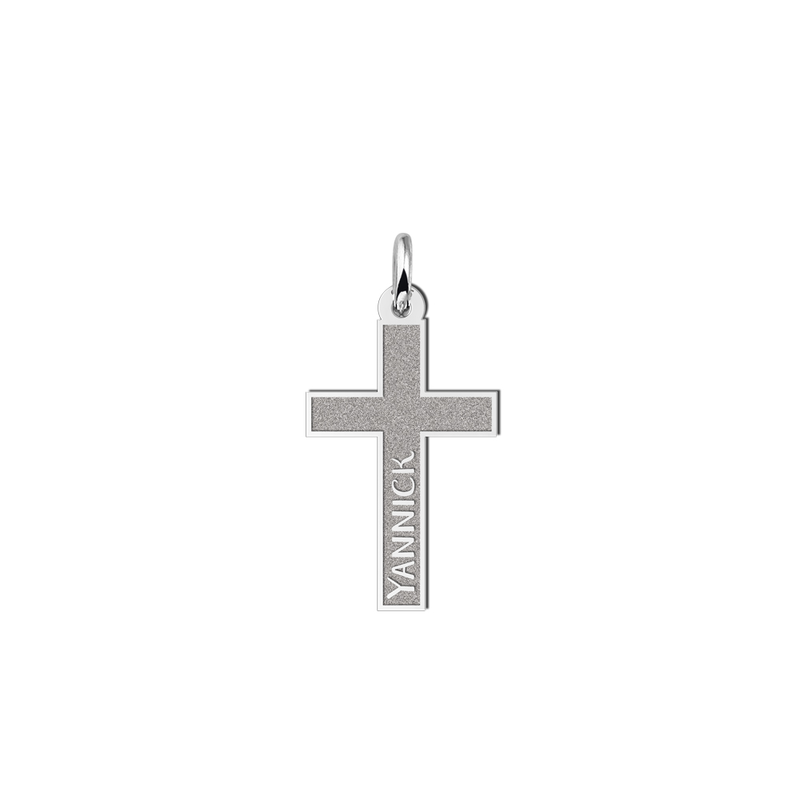 For example a silver cross with engraved name or date or a silver engraving pendant with personal engraving and a little open cross. 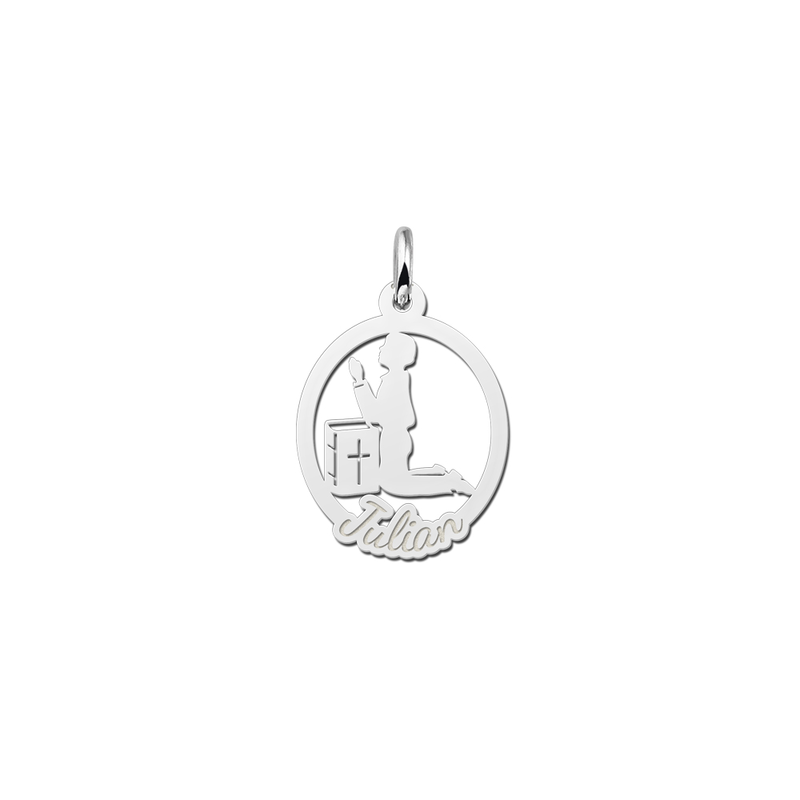 We have rectangle pendants for boys but also round silver communion pendants. 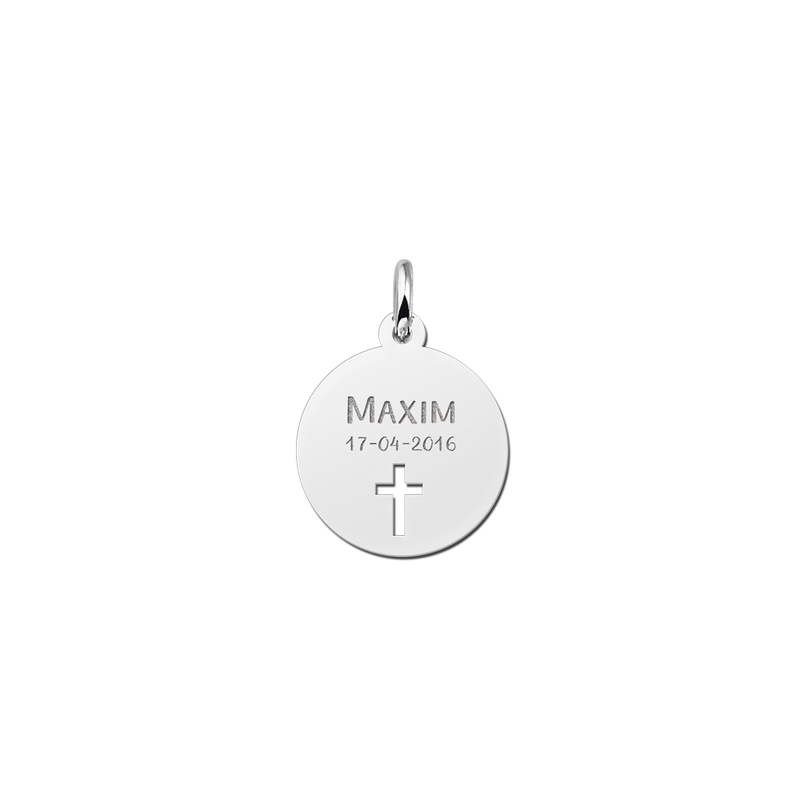 Overall, for a suitable communion gift for a boy you have come to the right place! 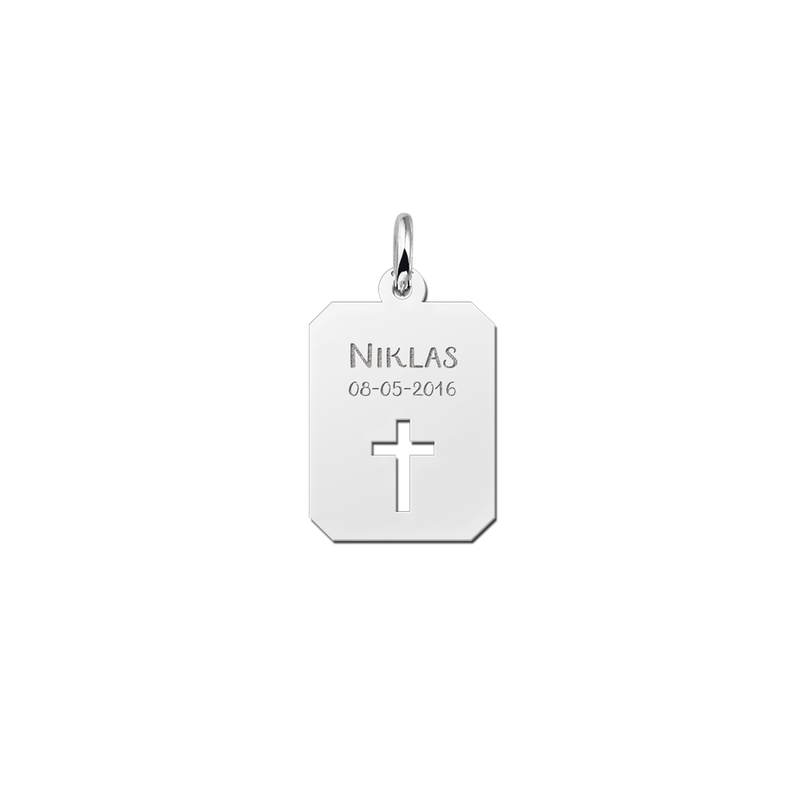 All silver communion pendants for boys we can also make in 14 carat gold. 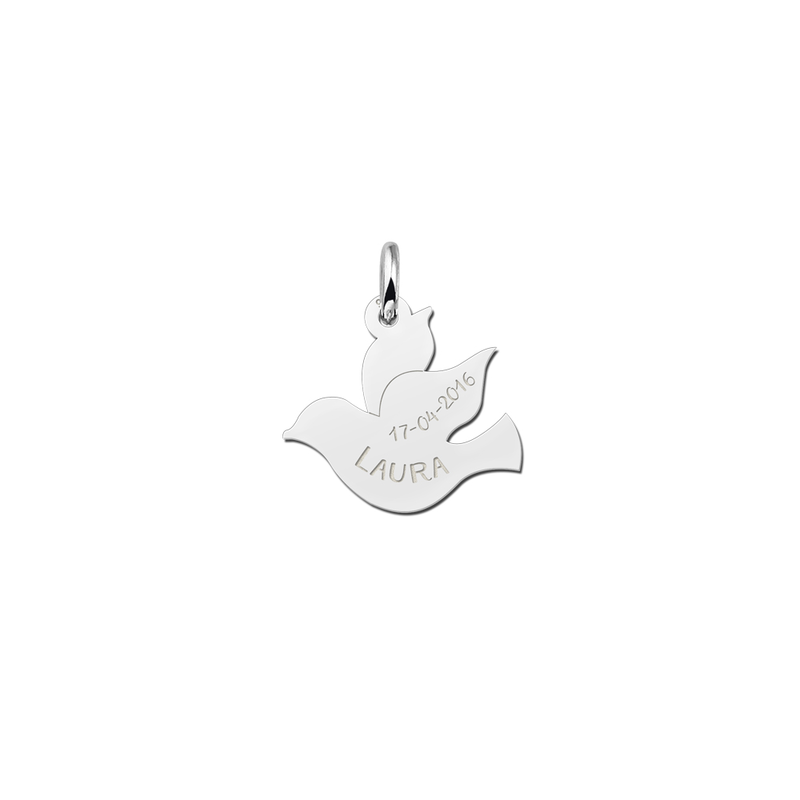 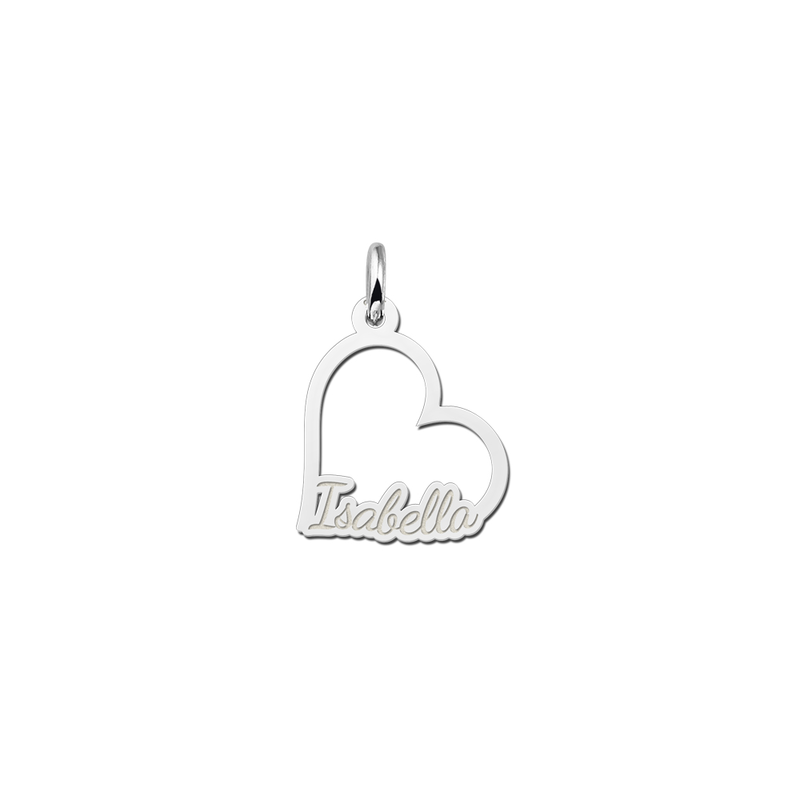 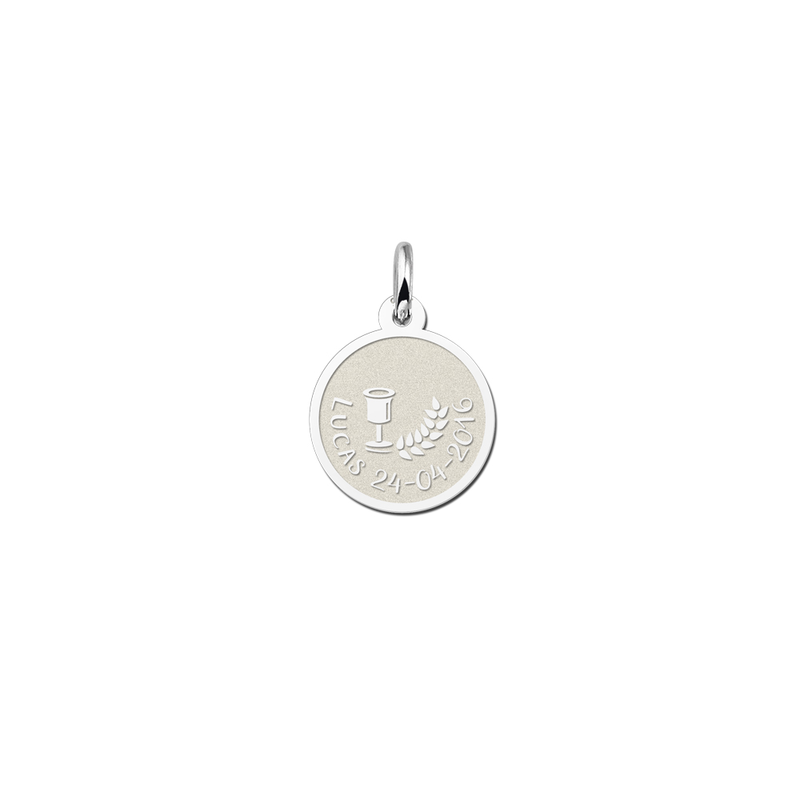 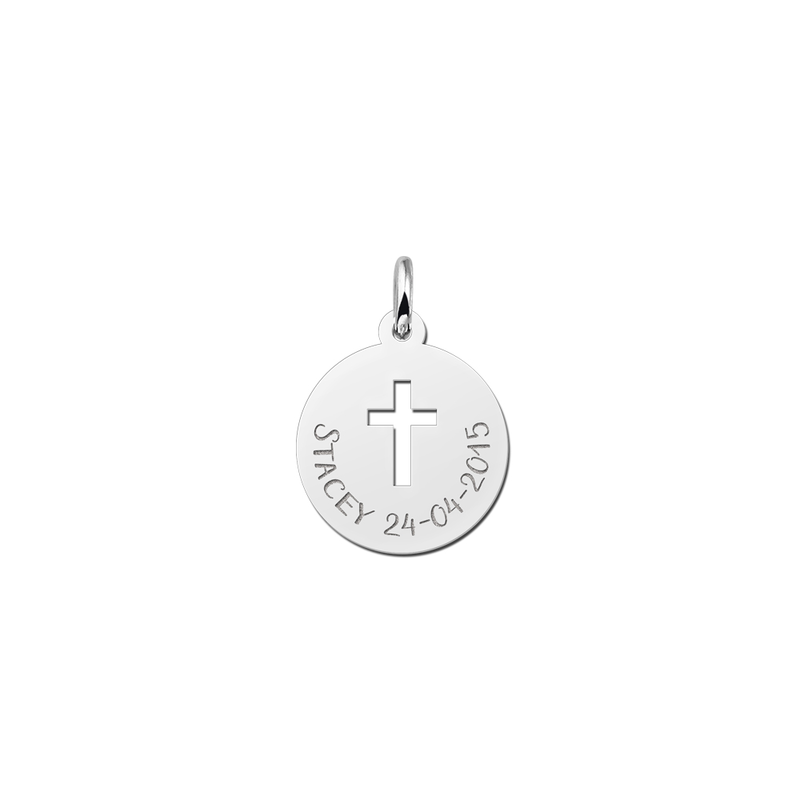 Our sterling silver collection of communion jewellery includes pendants and charms. In our collection of matching jewellery we have silver necklaces that go perfectly with our communion pendants. 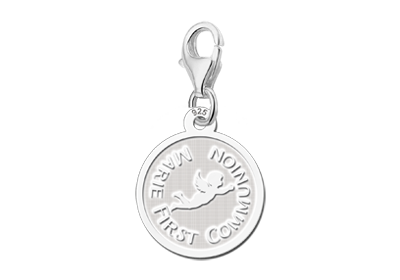 In addition, we have several silver children’s bracelets where the communion charms with lobster clasps are easy to attach to. 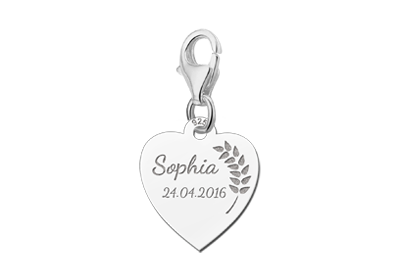 A silver anchor chain bracelet with a length of 16 cm, but also our name bracelet or the infinity bracelet with anchor chain!